Lock in a great price for Innkeeper's Lodge London, Greenwich – rated 8 by recent guests! 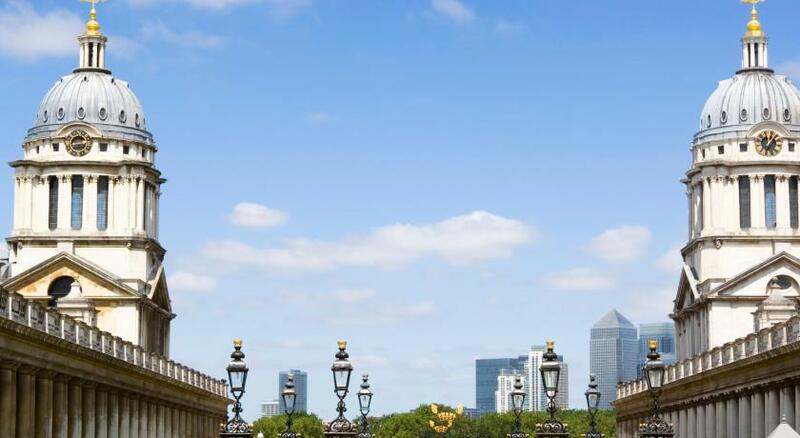 Walking distance to two DLR stations, many bars and restaurants and the Greenwich museums. Good location, easy to access the train. Many things to see in Greenwich. Lovely and clean property, very welcoming and helpful staff. Great location for easy access to the 02, only a short bus ride away or you can get the river boat. Accessible to Stratford with Westfield Shopping Centre and lots of bars and restaurants. Recommended for a great property at great price. This hotel is in the perfect location in Greenwich. The room was comfortable and had the needed amenities - tv, heater, blow dryer, iron, coffee station, etc. It included a breakfast buffet each morning and the staff were friendly and helpful. Great value for such a reasonable price! Close to shops, restaurants, and train station. I would definitely stay there again. The family suit has many space and all the facilities were really clean. Location was perfect. Excellent location, friendly and helpful staff, 5 min walk to the DLR. Right in the centre of the village. Location was great. Room was clean and spacious. Breakfast was offered but I had to leave before it was served. Great location, nice beer selection and busy but not too much so. A good continental breakfast. Staff were kind. Neighborhood was fun. Near transport lines. Good pub below the accommodation. Innkeeper's Lodge London, Greenwich This rating is a reflection of how the property compares to the industry standard when it comes to price, facilities and services available. It's based on a self-evaluation by the property. Use this rating to help choose your stay! In the lively center of Greenwich, the Innkeeper's Lodge London offers well-appointed rooms and a restaurant and bar. Offering free Wi-Fi, this traditional London inn is a 3-minute walk from Greenwich Park. Each room has a flat-screen TV, hairdryer and tea and coffee facilities. All rooms have an private bathroom. A continental buffet breakfast is served each morning. In additional to the pub, this Innkeeper's Lodge also has a residents’ lounge, conservatory and garden. 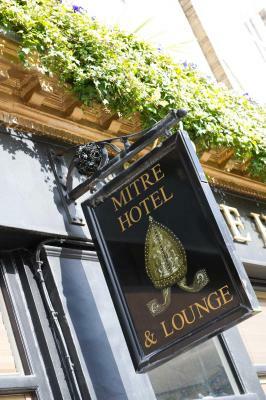 This inn is within a 1-minute walk of the Greenwich Picturehouse cinema, 2 minutes from the Greenwich Theater and just 2 miles from the o2 Arena. 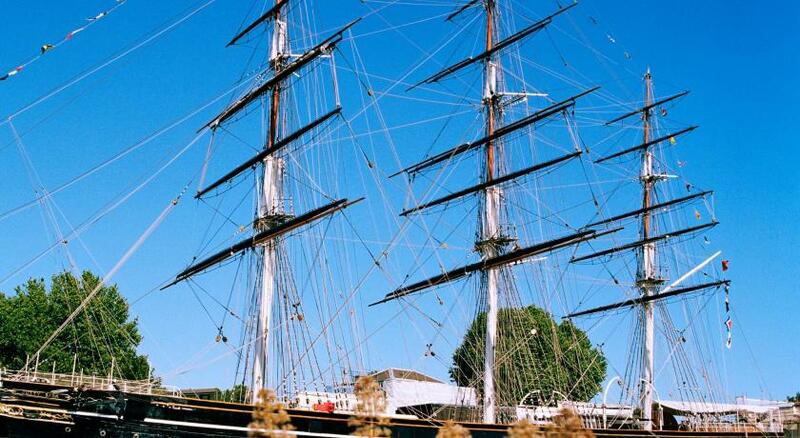 The Cutty Sark, National Maritime Museum and the Royal Observatory are all less than 10 minutes away. When would you like to stay at Innkeeper's Lodge London, Greenwich? This room has a private bathroom, a flat-screen TV, hairdryer and tea and coffee facilities. Area Info – This neighborhood is a great choice for travelers interested in live music, riverside walks and nightlife – Check location Great location - show map Guests loved walking around the neighborhood! House Rules Innkeeper's Lodge London, Greenwich takes special requests – add in the next step! Innkeeper&#39;s Lodge London, Greenwich accepts these cards and reserves the right to temporarily hold an amount prior to arrival. Innkeeper's Lodge London, Greenwich accepts these cards and reserves the right to temporarily hold an amount prior to arrival. Live music is played Friday and Saturday nights until 23:00 and there is a quiz night most Sundays. Public toilets in bar area need attention and the stairs leading down to them. Great location. Very comfortable beds and pillows. The staff here were very friendly, helpful and efficient. Nice sized family rooms and clean. The location was handy for the O2 arena and Canary Wharf. Very helpful staff and our rooms were ready early which was great. Breakfast was lovely, staff were very friendly and is in a good location. That little bit of heart made my holiday and for that I am grateful. A quiet room in a busy part of Greenwich and a big room too - by London standards. Very nice people at the bar downstairs and at breakfast. I will return! Lift not working ,you have to pay for a cooked breakfast ,traffic noise . The bedroom and bathroom were beautiful and the food was great!!! Wifi connection requires a working mobile to be texted a code to input. Many travelling from North America may not have this functionality. However staff were quick to use theirs and help me get it working. Rubbish location for the O2. My girlfriend works for Mitchell’s and Buttlers and should have received a discount. On arrival we asked about this and were told not to worry and stay and the manager would sort it. Upon leaving we were told ‘it couldn’t happen, as it was not pre organised with the company’ We’ve never had to ‘pre organise’ a meal when we’ve had a company discount! I basically wouldn’t stay and would love to use foul language to express it.